For special events only! 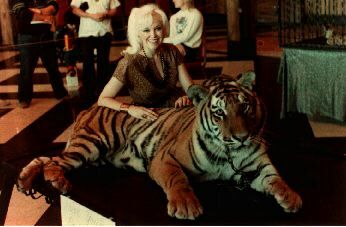 The World's number one woman magician, and her tiger for a special event. Go to Female Magician and escape artist Dorothy Dietrich's home Page. Go to lady magician Dorothy Dietrich's performing and winning first prize at the New York City Book Fair and representing Harper Collins new book by author Kenneth Silverman, "Harry Houdini!!!". Go to some of woman magician Dorothy Dietrich's television appearances, which include the bullet catch, the strait jacket escape, sawing a man in half, etc. Go to Female Magician Dorothy Dietrich doing the daredevil style upside down Straight Jacket Escape 150 feet above the earth suspended from a burning rope after being put in by police and security guards. The first and only woman in history to do this stunt. Go to Dare devil Magician Dorothy Dietrich doing the famous jinxed bullet catch stunt at Resorts International, the stunt that has killed twelve men, and injured many others. She is the first and only woman to ever catch a bullet in her mouth. Dare devil/escape artist Harry Houdini refused to do this stunt! The Harry Houdini Museum attractions in Scranton, Pennsylvania PA, near Wilkes Barre in the Pocono Mountain or Poconos Mountains region features Harry Houdini's biography and quotes and is near many resorts, hotels and motels where tourists spend their vacations. 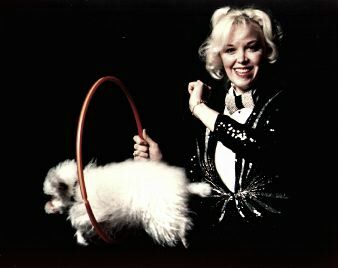 Daredevil magician Dorothy Dietrich is director of The Houdini Museum is known as The First Lady of Magic, The Female Houdini and both America's and the World's number one woman magician, as quoted by Tom Snyder on his Tomorrow Television show.